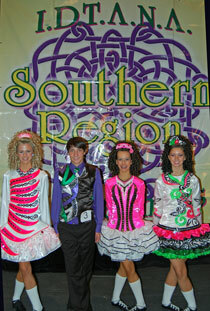 Congratulations to our dancers on their fabulous results at this year's Southern Region Oireachtas! Especially to all our World Qualifiers! Mayme Fanning, Keenan Middleton, and Nicole Zimmerer. Have a great trip to London for Worlds! 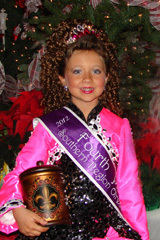 Congratulations to our dancers who competed in the 2012 Southern Region Championships in New Orleans. We are so proud of you! 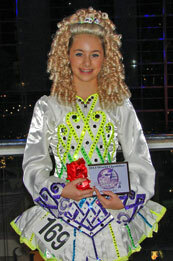 Special congratulations to Sarah Holland who qualified for the World Championships! And to Mayme Fanning for making it to the podium and a top 5 finish! Traditional Set dancers cleaned up too! And our teams. Almost every team recalled! 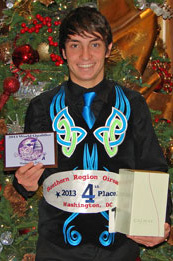 Congratulations to our dancers who competed in the 2011 Southern Region Championships in Orlando, Fl, December 1-4. We sent 14 dancers this year and we are so proud of all of them! 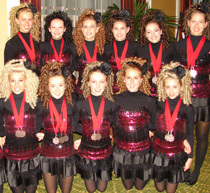 Several top 10 finishes and 3 dancers only 1 spot away from qualifying for the 2012 World Championships! 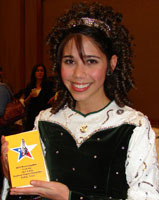 Many competitions had over 100 competitors. 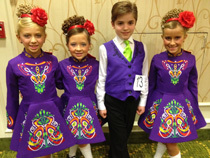 Special congratulations to our dancers who qualified for the National Championships! Congratulations to all of our dancers who competed in the 2010 Southern Region Championships in Washington D.C. We are so proud of you! 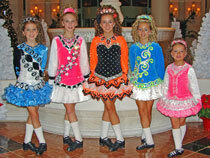 Congratulations to all of our dancers who competed in the 2009 Southern Region Championships in Dallas. You danced well and we are so proud of you! 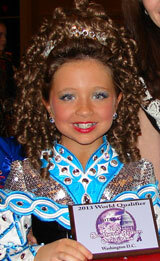 Special congratulations to Marissa Dunleavy who qualified for the World Championships! And to our dancers who qualified for the National Championships as well!